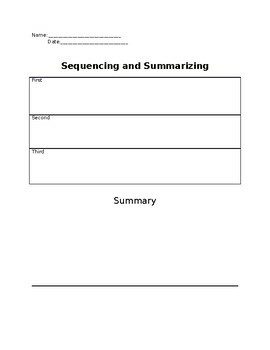 This product is intended for the use of sequencing events and creating an overall summary. This can be used with both fiction and non fiction texts for all subject areas. Enjoy!